Microsoft recommends that you secure Microsoft Dynamics NAV data that is transmitted over the Internet by enabling Secure Sockets Layer (SSL) on the connection to Microsoft Dynamics NAV Web client. SSL is a web protocol that encrypts data that is transmitted over a network to make the data and the network more secure and reliable. A website that is enabled with SSL uses Hypertext Transfer Protocol Secure (HTTPS) instead of Hypertext Transfer Protocol (HTTP) as a communication protocol. To enable SSL on a website, we need to install an SSL certificate on the web server. 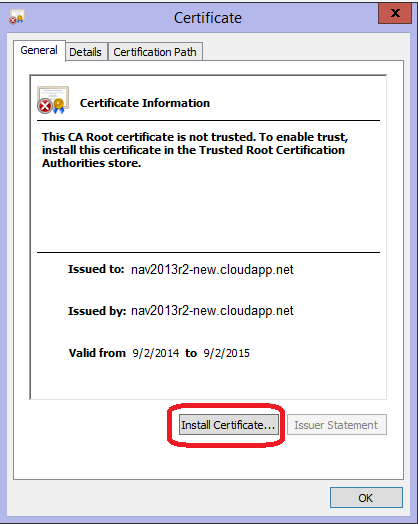 > We need to create a new certificate here for the NAV web client. 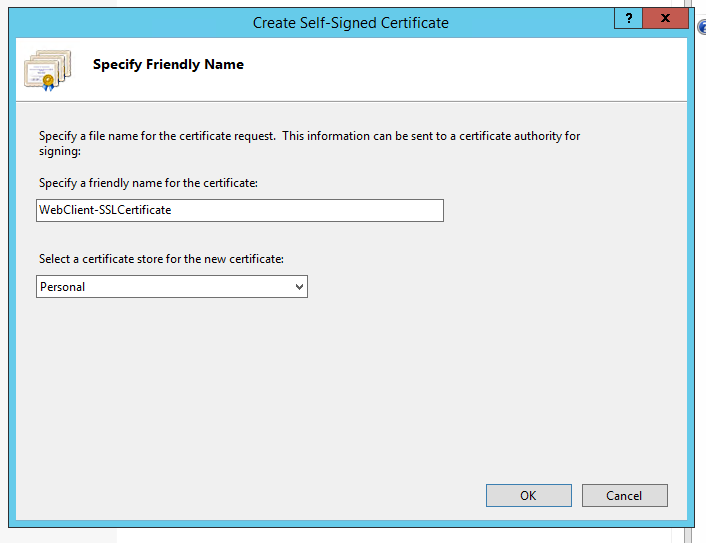 Method A: Click on Create Self-Signed Certificate under actions, Specify a Friendly Name and Click on OK. The problem with this method is, when we open the Web client after completing the steps, a certificate warning will be shown on the internet browser!! This is because, the certificate is Issued to and Issued by the computer name instead of the whole DNS name. 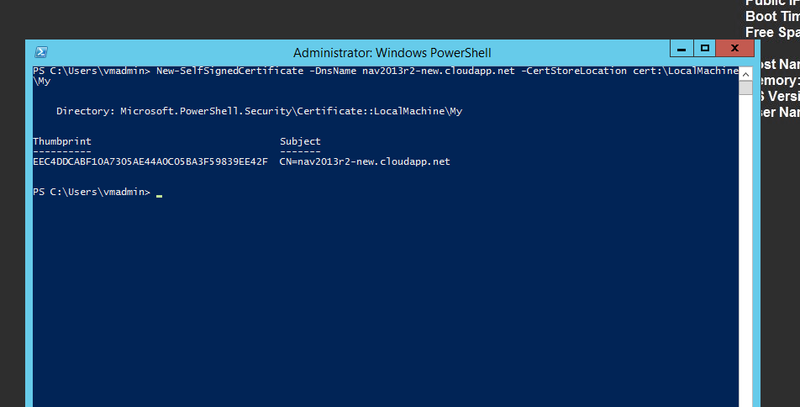 Method B: This method uses PowerShell to create a new certificate. Open Windows PowerShell as Administrator and type the following command and enter. Replace VMname with your Virtual machine name. With this method, we will be able to remove the certificate warning message when we open the web client in the internet browser. 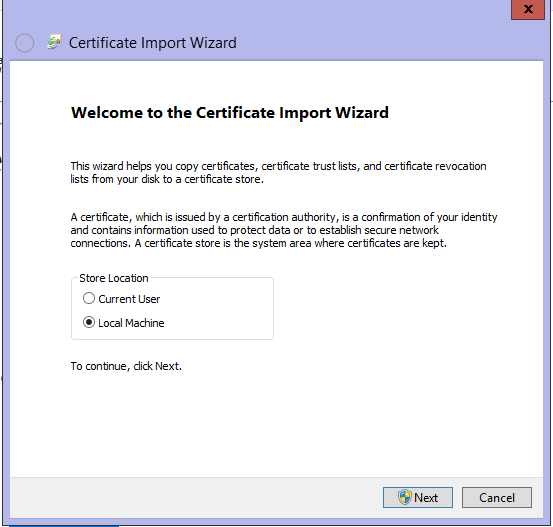 You can also use the MakeCert tool to create a certificate. > In the Actions pane, choose Bindings. > Change the type from http to https, select the newly created certificate under SSL Certificate and click on Ok. Note: You can choose to add a new item under Site Bindings with Port 443 for WebClient with https Type. 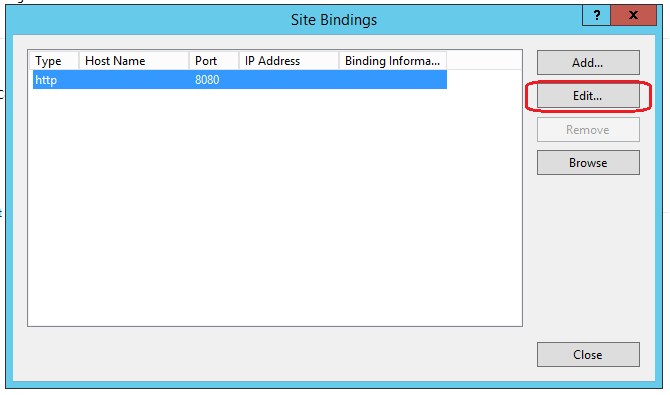 when you use port 443, you can omit the port number in the NAV web client URL. 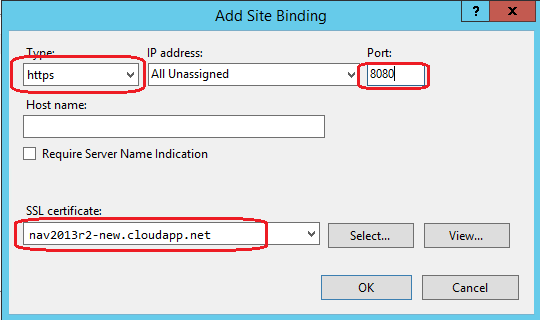 With any other port number (ex: 8080), we need to specify the port number in the NAV web client URL. > For the first time, you might receive a certificate warning as shown in the below image. To remove this warning message, we need to install the certificate on the client machine. 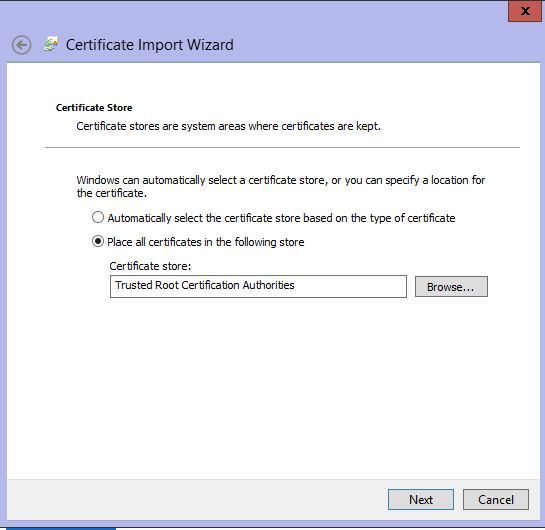 > Place the certificate in the Trusted root Certification Authorities store and click on Next and Finish. > Close all the browsers and try opening NAV Web Client with the https URL in a new internet browser window. This time web client opens with no certificate warnings but safe and secure with https.